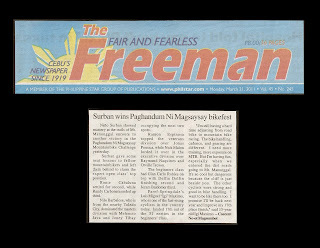 CEBU, Philippines - Niño Surban showed mastery at the trails of Mt. 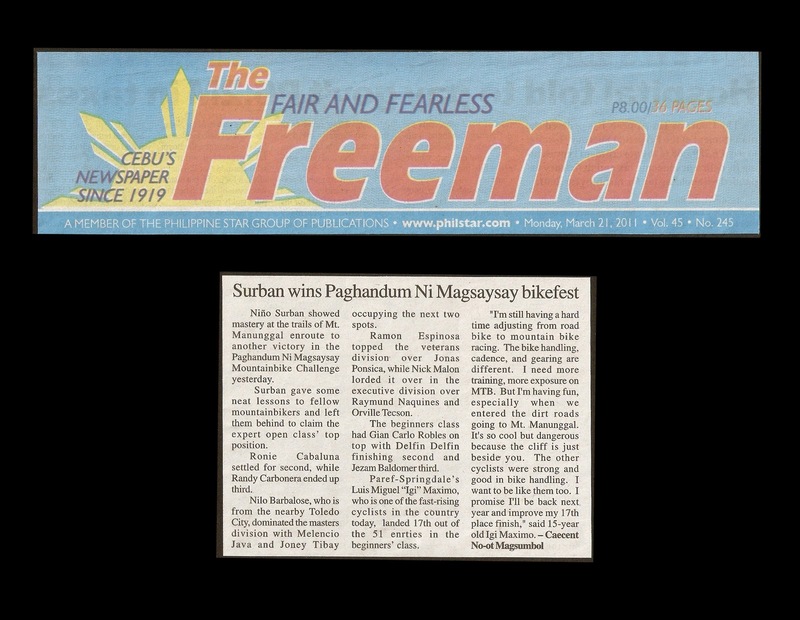 Manunggal enroute to another victory in the Paghandum Ni Magsaysay Mountainbike Challenge yesterday. Surban gave some neat lessons to fellow mountainbikers and left them behind to claim the expert open class’ top position. Ronie Cabaluna settled for second, while Randy Carbonera ended up third. Nilo Barbalose, who is from the nearby Toledo City, dominated the masters division with Melencio Java and Joney Tibay occupying the next two spots. Ramon Espinosa topped the veterans division over Jonas Ponsica, while Nick Malon lorded it over in the executive division over Raymund Naquines and Orville Tecson. The beginners class had Gian Carlo Robles on top with Delfin Delfin finishing second and Jezam Baldomer third. Paref-Springdale’s Luis Miguel “Igi” Maximo, who is one of the fast-rising cyclists in the country today, landed 17th out of the 51 entries in the beginners’ class.